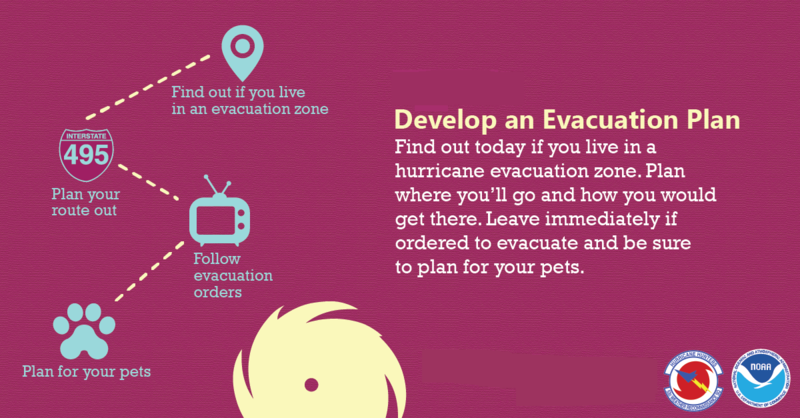 Do you know if you live in a hurricane evacuation zone? Knowing this information beforehand can help you when a hurricane or tropical storm approaches. Visit the Florida Disaster Map Hurricane Evacuation Zone Locator and see if your home or business lies in an evacuation zone! Technically, the government cannot force people to leave their homes… even when a hurricane is approaching the coast. As a hurricane approaches, you will hear the terms “voluntary” and “mandatory” evacuations… so what does that really mean? When officials say “voluntary evacuation” that means the governor of Florida has not issued an official evacuation order. So why do they urge “voluntary evacuations” when the governor hasn’t made an official declaration? Because local and state authorities are trying to cut down on panic and traffic congestion for when the actual decree is given. When the term “mandatory evacuation” is thrown out, that means the governor has officially released an evacuation order. Local services such as police and 911 will still be available, however only emergency personnel will respond depending on conditions and how many requests for help are being received. As you can surmise, waiting until you need the help of local authorities is not advisable. Anyone with health issues or disabilities needs to evacuate when orders are given or ahead of the storm to assure proper (and timely) attention is given. We have 40 years experience and have seen it all. We put together this guide to help you serve your policyholders the best you can. We want you to be successful. Reach us 772-567-4435 anytime of the day or night.